If you are a serious sports enthusiast, then you’re going to need a device that tracks your progress. Details are important, after all. 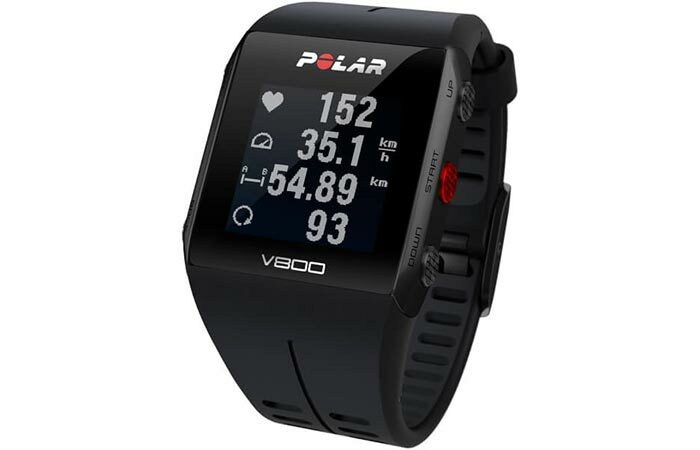 In the case of sports watches, the Polar V800 is an extremely advanced GPS multisport watch designed for optimal performance. Packed full of features that help you to train efficiently, the V800 is unlike any other sports watch on the market. Designed to be efficient and beneficial to you, it even gives you recovery times. It comes with a variety of sensors and programs that are designed to increase your performance while tracking your progress. These programs include Training Load that compares the loads of different sessions. Smart Calories to count your calories based on your weight. Orthostatic Test that determines your condition. It also gives you Training Benefit, Fitness Test, and Running Index. Check out the video below. The V800 gives you constant crucial info on your activity. In addition to this, it also comes fully equipped with GPS tracking, as well as a heart rate monitor that allows you to track your exertion. Furthermore, it also comes with Bluetooth that is compatible with cadence pods and other sensors. To top it all off, the V800 also comes with predictive finishing times for your upcoming races, and post exercise analysis with the Polar Flow application. All in all, it truly is a premium, and superbly advanced sports watch that is a must-have for any enthusiast.